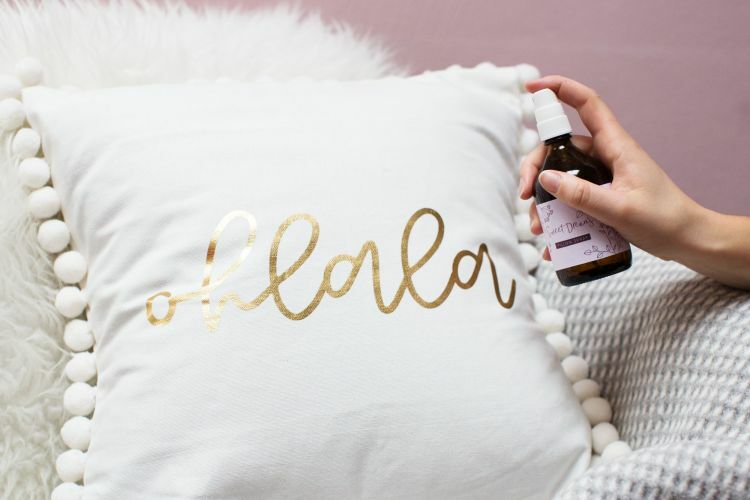 We’ve found the solutions for all the restless and light sleepers: a calming pillow spray for restful nights. 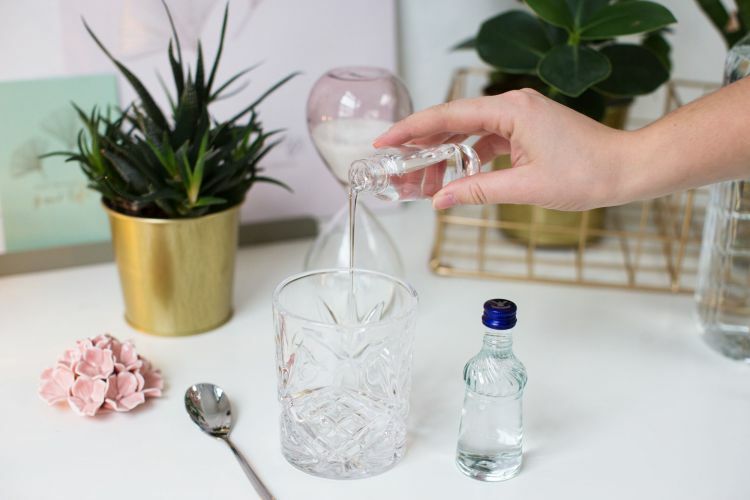 The base – In an approximately 4:1 proportion, mix distilled water and vodka. 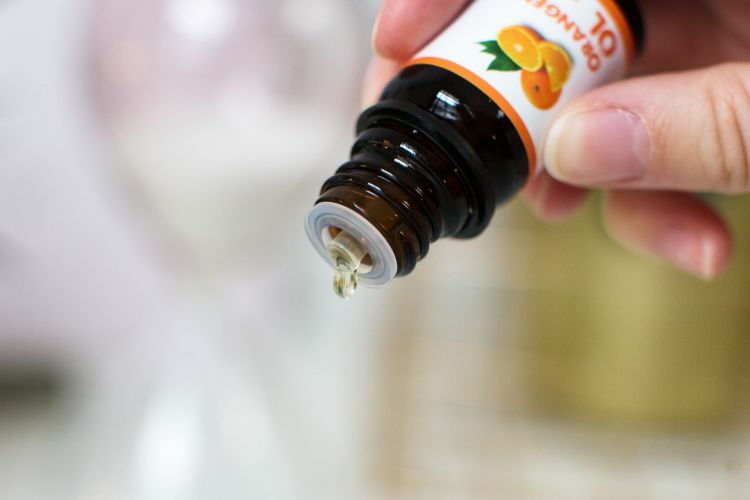 For a 100 ml bottle, we are mixing 70 ml of water and 20 ml of vodka to leave some room for the oils. 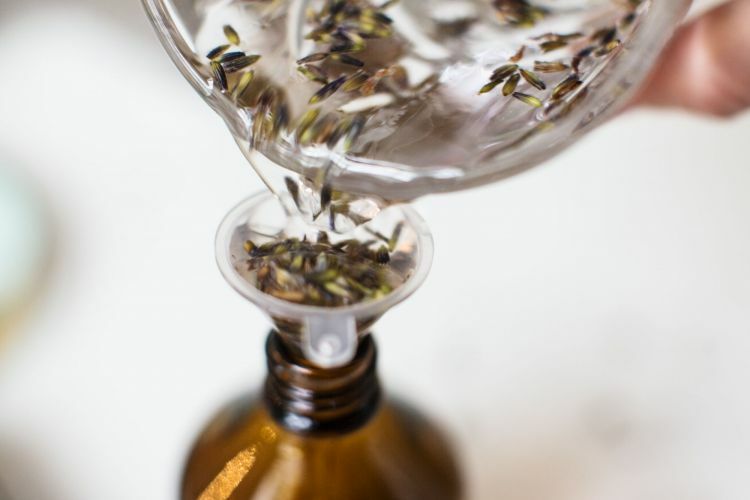 The oils – For a soothing lavender pillow spray, pour in 10 drops of lavender oil and 5 drops of orange oil into the base mixture. 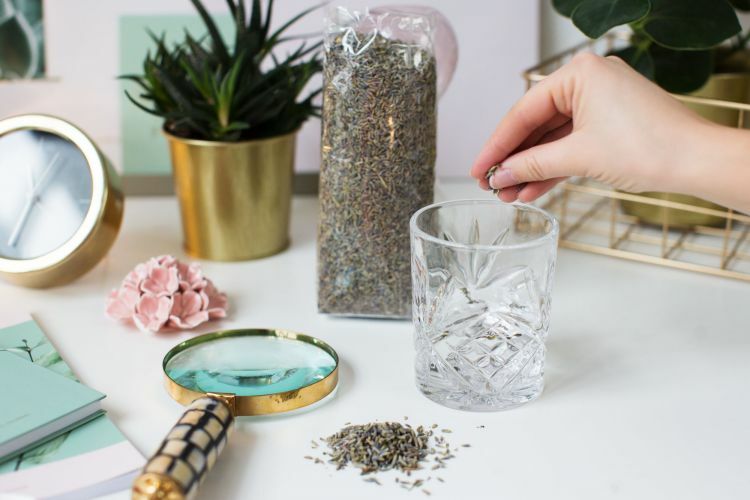 Add a few dried lavender blossoms for even more natural intensity. 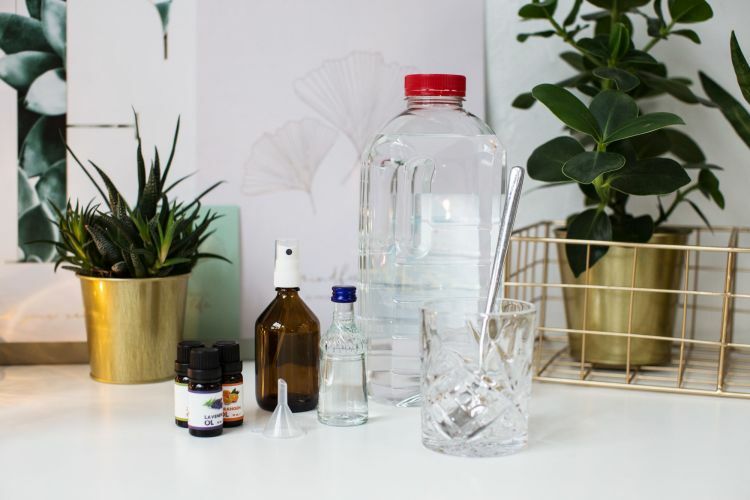 Experiment with the oils and create for example a fresh calming room and pillow spray with lemongrass and lavender or spray some lovely scents on your clothes and pillows with eucalyptus and lavender oils. 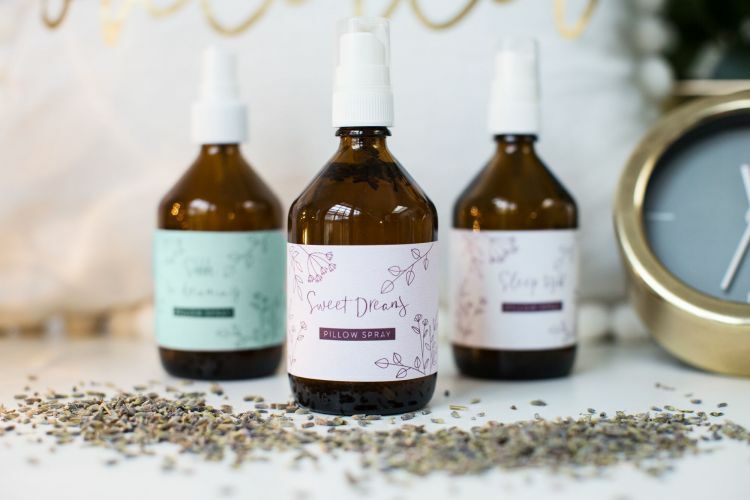 The label – To differentiate your sprays, use the 3 free labels, we’ve created for your pillow spray bottles. The small bottles are the perfect size for traveling and to feel right at home wherever you are. 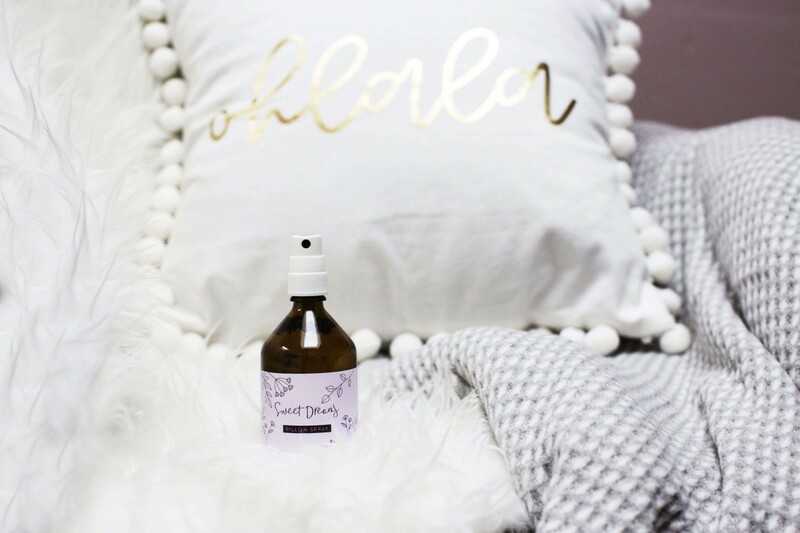 The sprays are also the perfect gift for your wedding or birthday guests! They’ll always remember the time spent together when smelling your customized spray!